Welcome to California Partners, Inc. Welcome to California Partners, Inc. Commercial Real Estate. Our company is the only commercial real estate company focused exclusively on the Silicon Valley and San Francisco Peninsula Market. Because of our focus, we consistently outperform our competition from Silicon Valley to San Francisco. The Heart of Success: One of the greatest ways a commercial real estate company can reliably distinguish itself is through proprietary and specialized market knowledge. 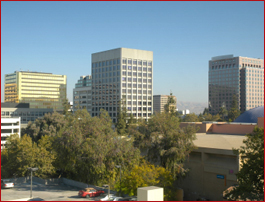 In our target markets, California Partners, Inc. has a deep understanding of users and owners of commercial real estate. This knowledge allows for specialized expert advice and action. Because of our in-depth market knowledge and intensely focused client service, we consistently offer solutions and produce results not possible from other sources. Our clients have found us to be the best in our target markets. Without flash or catchy slogans, we successfully get the job done. Our company utilizes a team approach. We dedicate a marketing/service team, giving you complete service to a level not available from other sources. If you chose to hire us, we commit to 100% dedication, professionalism, follow through and regular communication. We have found that by dedicating strong energy to servicing your commercial real estate needs, we can create the flurry of activity necessary to realize your goals. We will be happy to provide you with references, so you can better understand how we work and the results we produce. "We bring people together and produce results!"